The obelisk was first set up by Tutmoses III (1479–1425 BC) in the great temple of Karnak. 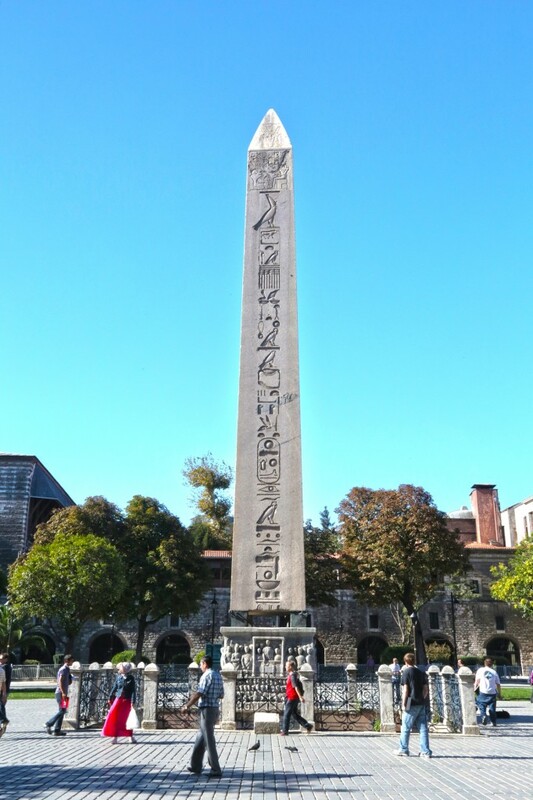 The Roman emperor Constantine (337-361 AD) had it brought all the way to Istanbul (Constantinople) to commemorate his 20 years on the throne in 357. However, it remained on the way for sometime and it was Emperor Theodosius I (378-392 AD) who had it transported to Constantinople and put up on the spina of the Hippodrome there. Take the Tramway (T1) from Kabataş to Bağcılar and get off at Sultanahmet.